ECB kept monetary policy unchanged. The euro started the week on a stronger footing as trade war prospect weighs on the dollar. RIC house price balance dropped to zero in February. Unemployment rate dropped to 2.9 percent y/y in February. 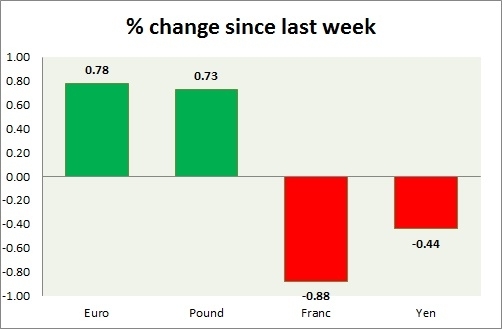 Franc is the worst performer this week.